Congratulations to Karen Lane of Dayton, Ohio, DCI.org's Fan Appreciation Giveaway winner for the week of Wednesday, Jan. 17. 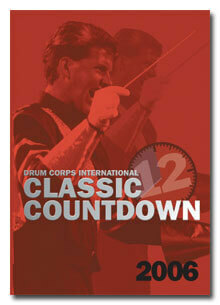 As a randomly selected winner, she won the 2006 DCI Classic Countdown DVD. If you'd like a chance at winning the next Fan Appreciation Giveaway, get in the know with DCI.org's award-winning e-mail newsletter, DCI.now. Buy this DVD from the online store.